The American Health Council has appointed Ms. Kodi Pride to its prestigious Occupational Therapy Board. Working in the healthcare industry for over 14 years, Ms. Pride is an expert in the field of occupational therapy and long-term/acute care. Ms. Pride’s interest in her career began when she had the opportunity to shadow an occupational therapist while still at in high school – she began to realize the definition of “occupation,” is different for every person, and she learned to love the investigative progress and the creativity of being an occupational therapist. Ms. Pride went on to complete her Bachelors of Health Sciences degree in 2003 at Duquesne University, Pittsburgh, PA. Following this, she continued her education at Duquesne University by achieving her Masters of Occupational Therapy in 2004. Ms. Pride has held her current role at Regency Hospital in Cleveland, Ohio, for 10 years. 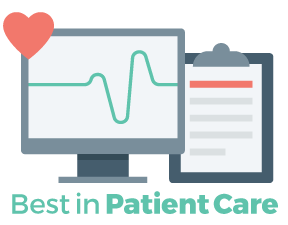 Regency Hospital forms a national network of more than 100 long-term acute care sites across the United States – Select Specialty and Regency hospitals are designed to provide comprehensive, specialized care for high-acuity patients who need more time to recover. The clinical practice is guided by over 200 local medical directors and chief nursing officers, all of whom follow rigorous protocols approved by Select Medical’s national medical advisory board. The board consists of more than 15 leading physicians and clinical specialists. Regency Hospital specializes in the areas on pulmonary/ventilator weaning, wound care, cardiac/heart failure, medically-complex treatment, renal, neuro/post-trauma, and infectious diseases. On a day-to-day basis in the workplace, Ms. Pride provides long-term and acute care for patients with multiple comorbidities and rehab needs. She is involved heavily in program development and works closely with all clinical and medical staff. Ms. Pride also trains new staff through the onboarding process, and she is involved in patient advocacy and implemented a functional and safe patient shower program. Ms. Pride attributes her success to her faith, family, and the pursuit of evolving knowledge in healthcare. As such, she is a member of a number of professional associations, including the National Board of Ohio Occupational Therapists. She also works with several charitable organizations, including, Alpha Kappa Alpha Sorority, Inc. and the PFAC Council. Outside of her full-time occupation, Ms. Pride works in business development for consulting firm, ghostwrites, volunteer and ministers in liturgical dance. However, the majority of her charitable work is within her organization, The Lorelle F.A.I.T.H. Foundation which helps children with specialized needs and their families. Within the next five years, Ms. Pride plans to continue to develop more patient-centered programs as well as reach the community through advocacy regarding the quality of health for all ages despite disabilities. She plans to develop additional protocols with an emphasis in best practice and push the increase of therapy in the acute hospital settings, especially in the ICU. She will continue to serve on the pain council and patient advocacy board. Ms. Pride’s passion for caring for others extends far beyond the workplace and she lists advocacy as her main hobby in life. 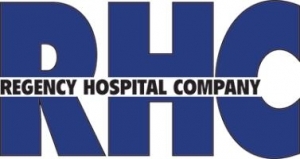 Regency Hospital forms a national network of more than 100 long-term acute care sites across the United States. The hospital provides comprehensive, specialized care for patients with acute or chronic respiratory disorders. Their primary focus is to wean medically complex patients from mechanical ventilation and restore independent breathing.